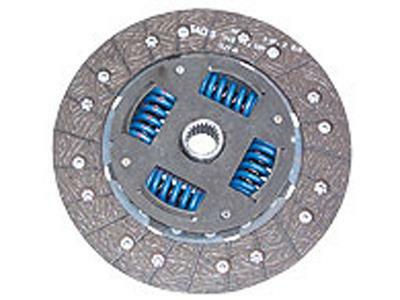 Evolution Motorsports Sport Clutch Disc PORSCHE - Dezod Motorsports Inc - Home of the automotive performance enthusiast since 2002. This Sachs sport disk has been designed for use in conjunction with Evolution Motorsports Stage 2 Clutch System or with the Evolution Motorsports Billet Aluminum flywheel. It has a sprung hub center and Marcel springs between the friction surfaces to absorb the clutch engagement shock when eliminating the dual mass flywheel. This disk offers a relatively smooth engagement and is suitable for daily driving. The material is designed for power levels up to 650 HP.